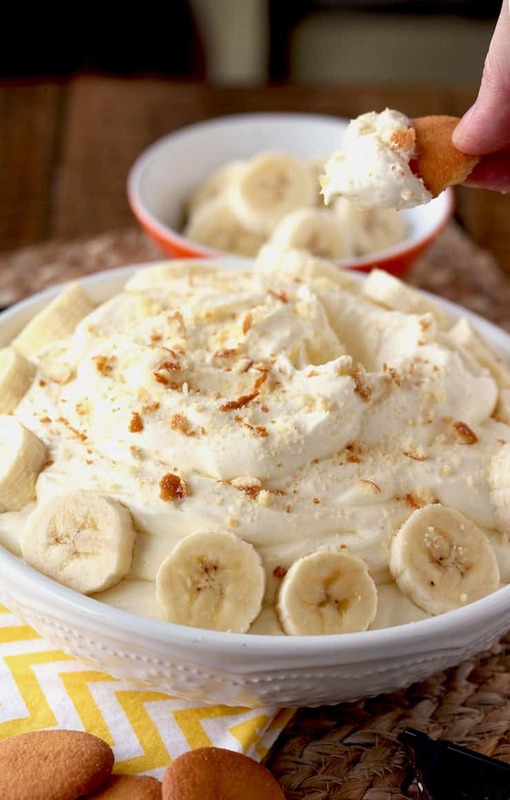 This Banana Cream Pie Dip is sweet, silky, smooth, creamy and irresistible! 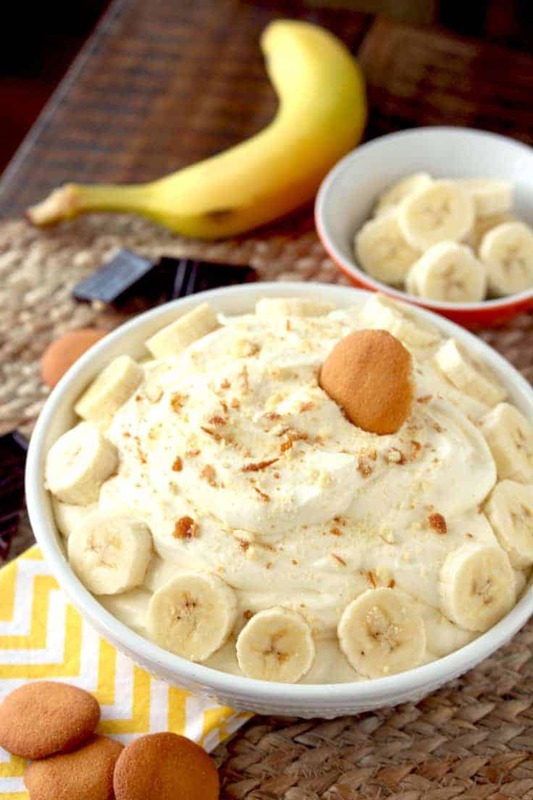 Everything you love in a banana cream pie recipe but in a super easy and quick dip. With only a handful of ingredients, this no-bake dip is the perfect sweet treat for just about any occasion! We love incorporating fruit into our desserts! Some of our other favorites are our Pineapple Upside Down Cake (this will WOW your guests) and our Nutella and Sugar Cookie Fruit Pizza! Now, let me tell you what I love about this mouthwatering and tasty dip. If you have a sweet tooth but don’t want to spend a lot of time in the kitchen, dessert dips are the simple way to satisfy your sweet cravings without having to turn on your oven or stove. 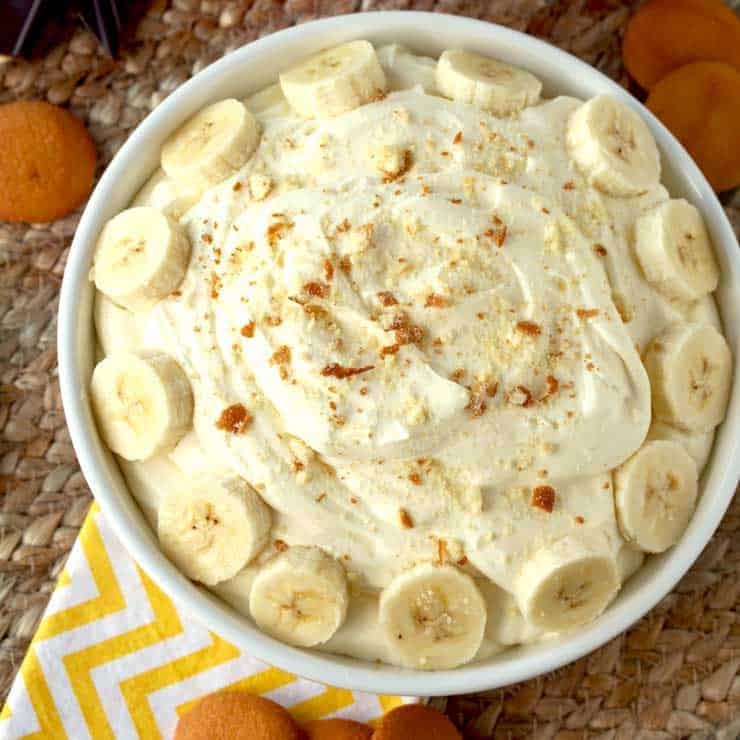 There’s no need to wait for hours for your dessert to set either, this Banana Cream Pie Dip is done and ready to eat in 10 minutes. Now that is my kind of cooking! Do you love bananas? Jenn has some amazing Banana Cream Pie Bites and her famous Chocolate Chip Banana Bread. They are delicious little mini banana cream pies with an easy to make graham cracker crust. 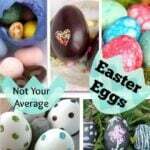 They are not to be missed! The process is simple and the ingredients are few – 6 to be exact. That is a winning combination right there! 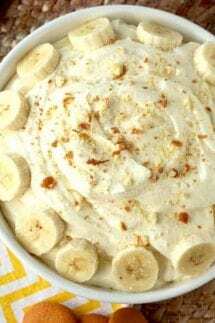 To make this Banana Cream Pie Dip, I use a handheld electric mixer because I feel it speeds up the process. 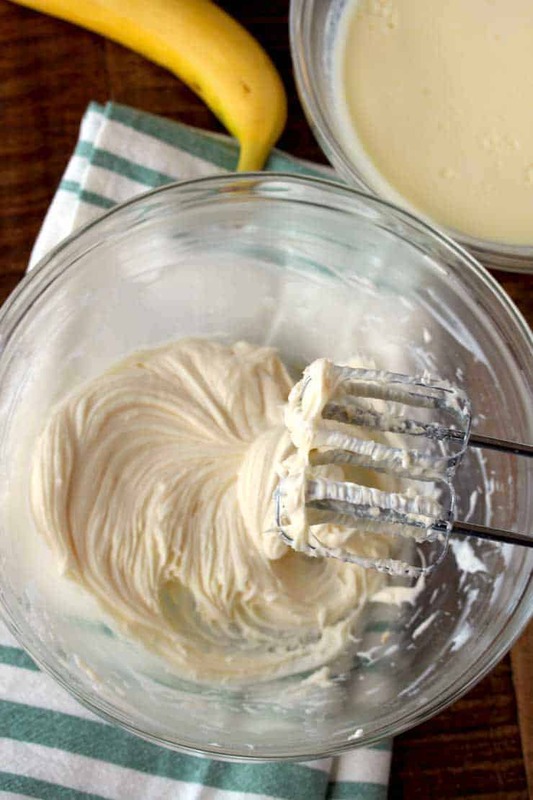 Of course, you can use a whisk if you wish. 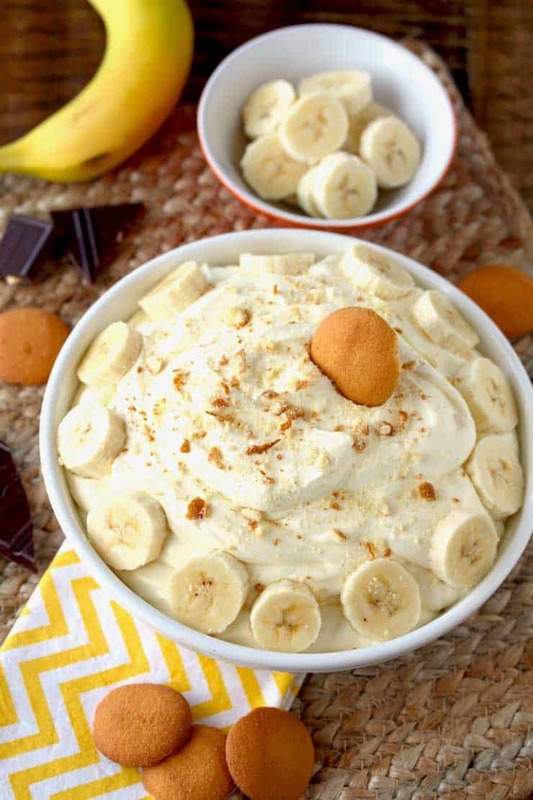 I top the creamy dip with sliced bananas and crushed Nilla wafers. 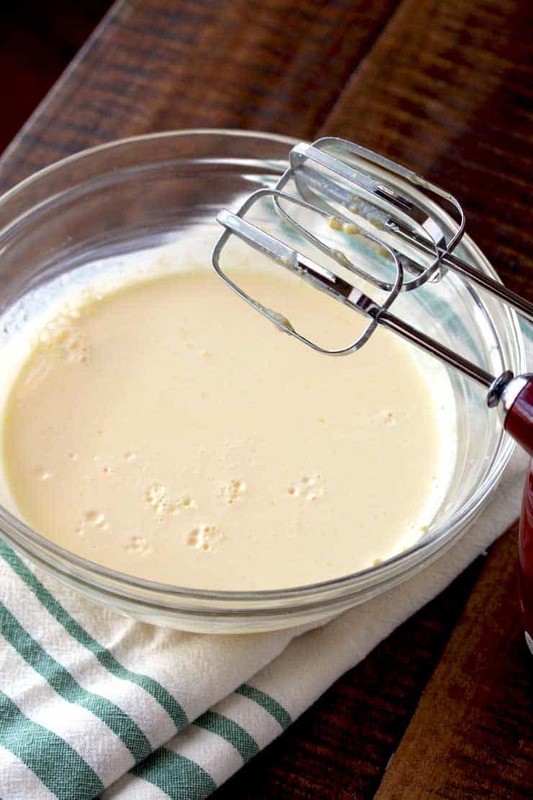 In a large bowl, beat the cream cheese, powdered sugar and vanilla with an electric mixer until the mixture is well combined and fluffy. 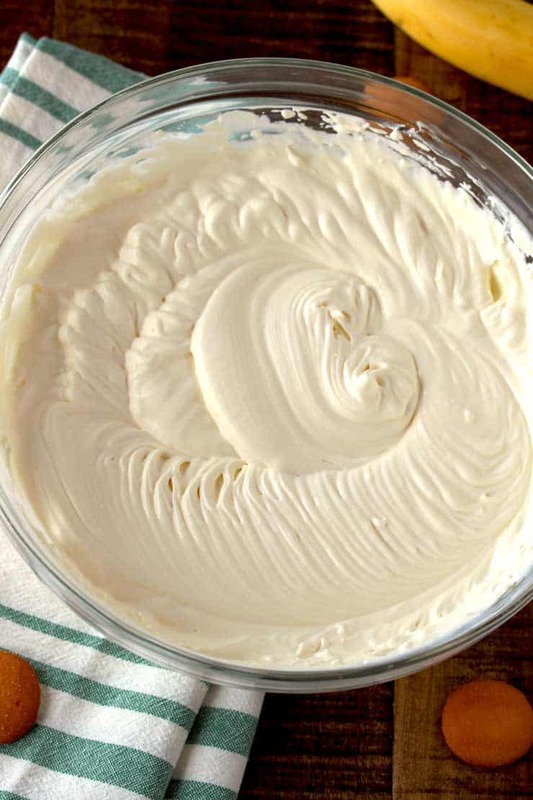 Add in half of the Cool Whip and continue to mix until combined. Add the remaining cool whip and mix well. OH.MY.GOODNESS!!! Looks ahmazing! 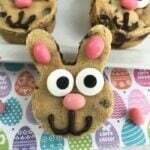 Will make this this weekend, only I’m using Cool Whip Free. Same great taste, AND…I can eat more!!! 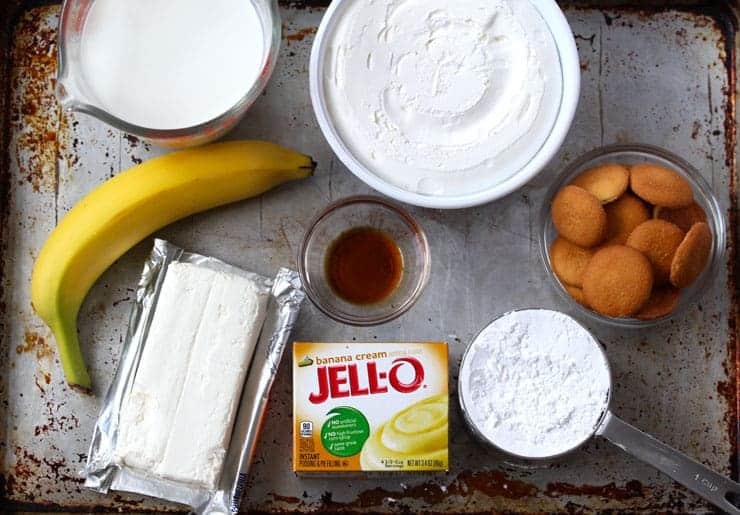 I have a scrumptious recipe from when I was growing up…cook n serve banana cream pudding, vanilla wafers & sliced bananas! Wafers, then bananas, then pudding with sliced bananas & crushed wafers on top! I can literally sit down & eat the whole thing, as well as I can with custard! 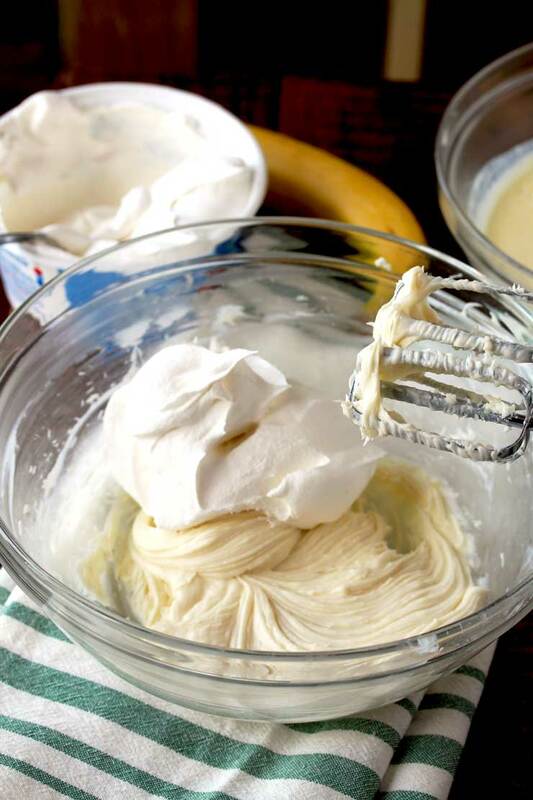 Can you freeze banana cream pie dip? There has never been any left to freeze in my house!! LOL – You probably could, just not 100% sure it will defrost, but give it a go! Oh YUM, this looks like a total keeper! I remember my Grandma making Banana Cream Pie! It’s heavenly! This dip is soooooo addicting. I can’t stop eating or making this. This would make such a fun after school snack! I know my kids are going to love this! I cannot wait to make this for my son! He always requests Banana Cream Pie for his birthday. Now he can have a dip too! This has to be amazing with nilla cookies. Great combo! At the top it says that there is vanilla extrac in the recipe, but it’s not listed in the ingredients. How much vanilla extract do I add?